One of the peculiarities of Amtrak's North Coast Hiawatha (the succesor to the Northern Pacific's North Coast Limited) was that it combined the North Coast Hiawatha with the former Great Northern Empire Builder between Seattle and Spokane, Washington, so the rainbow mix of colors is not entirely due to random mixing. 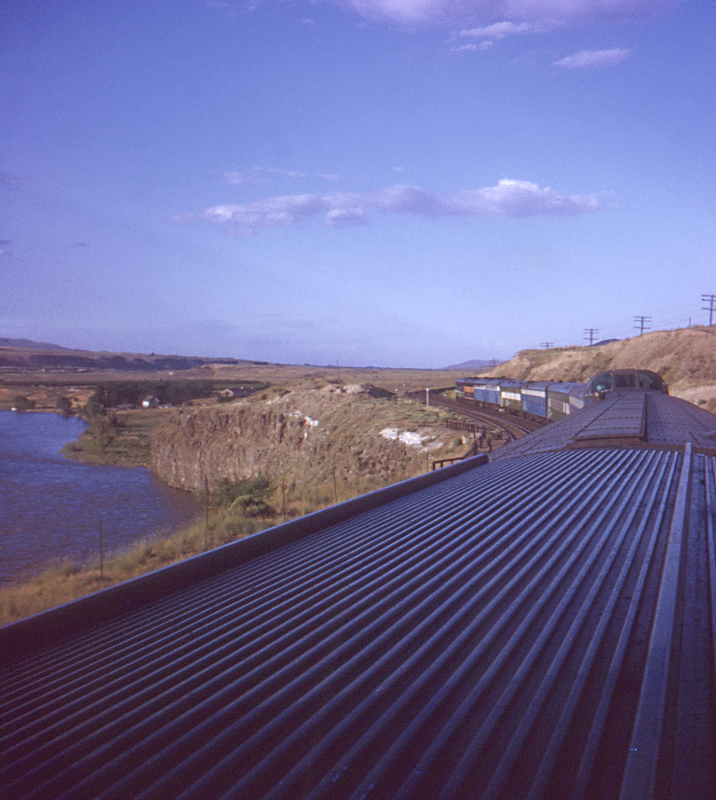 The North Coast Hiawatha may not have been the North Coast Limited, but it still provided that gorgeous ride along the Yakima River, here seen between Yakima and Pasco. Alas, it was dropped in 1979.